There's no denying that I love to dine in my list of trusted restaurants. However, hole in the wall dining spots have a certain charm I just can't get enough of. 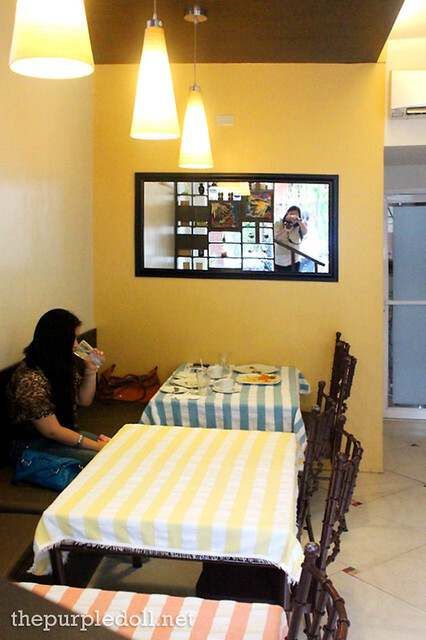 Earlier this year, my friend and I visited a comfort food destination off the main street of Tomas Morato. Nestled along Scout Lozano, we discovered an unassuming restaurant called Bistro 98. 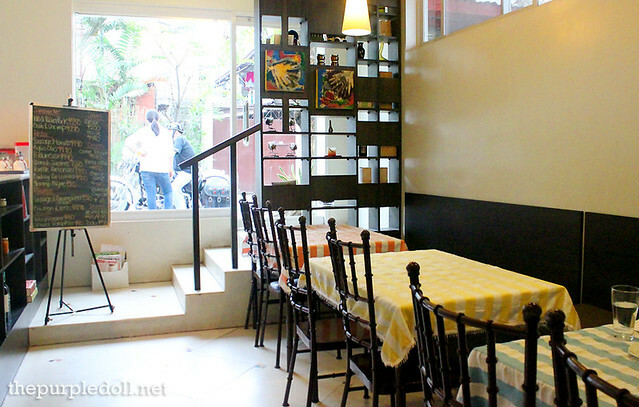 Unlike most restaurants which are easy to spot, Bistro 98 somehow blended with its residential environment. Good thing though, we saw the round signage carrying the bistro's logo right away or else we would've passed it by. 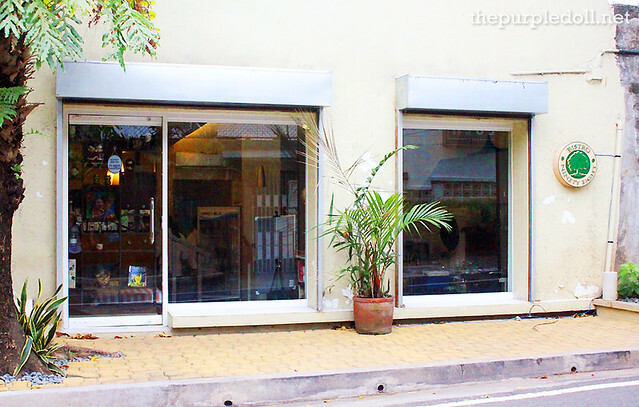 And while the facade may not be too inviting, I actually found the interior very homey and welcoming despite its size. Bistro 98 is co-owned by 3 friends -- chefs Joseph Sanvictores, Phoebe See and Darwin Cardenas, who thought of opening up their own small bistro after their one-year internship at The Broadmoor Hotel in Colorado. Since Chef Sanvictores' grandmother has an unused bodega, they converted it to what is now known as Bistro 98. The restaurant only has 3 tables inside, and more tables are added outside Bistro 98 during nighttime. But aside from the intimacy of the place, we found the service as intimate as well. There are actually no servers or busboys. 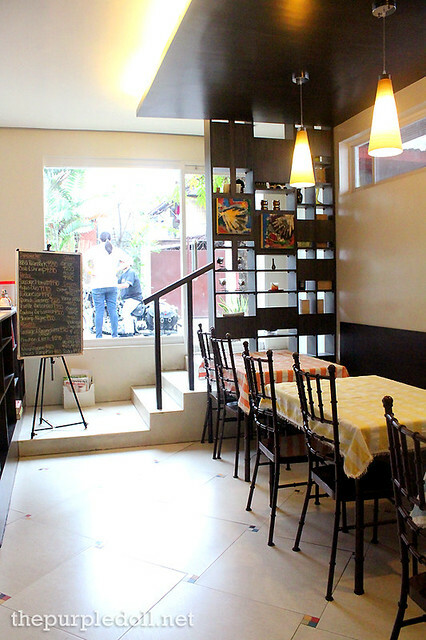 Everything is run by the 3 owners -- from cooking, serving and even entertaining guests. While hole in the wall restaurants like Bistro 98 hold interesting stories, let me stop my blabbering now and share with you the dishes we got to try during our visit. We first had the BBQ Pulled Pork Sandwich (P250). Normally, I'm not a big fan of pulled pork sandwiches. But at Bistro 98, I think I became one. The bbq pulled pork filling was super tender and savory with a harmonious blend of sweet and tangy. Serving size is quite big too and can feed 2 light eaters or one hungry foodie. I really appreciated that this comes with a siding of Caesar salad and some chips, making an order a full meal. Then we had the Shrimp Aligue Pasta (P300), a bowl of al dente-cooked pasta coated with aligue sauce, tossed with shrimps and topped with shredded crab sticks. When this was brought to our table, my eyes were instantly glued at it since it looked really enticing. However, upon my first forkful, I found the aligue sauce a little too light-flavored for my palate as if it was a European-style pasta. It's still enjoyable though since the shrimp pieces, crab stick and lemon juice added more dimension to the dish. To complete our carb-loaded late lunch was the Creamy Risotto and Asparagus with Roasted Tomatoes. I already forgot the price but I think it's around P320 if I'm right. Anyway, I am a sucker for risotto, and this serving was definitely my favorite dish among everything we had that day. 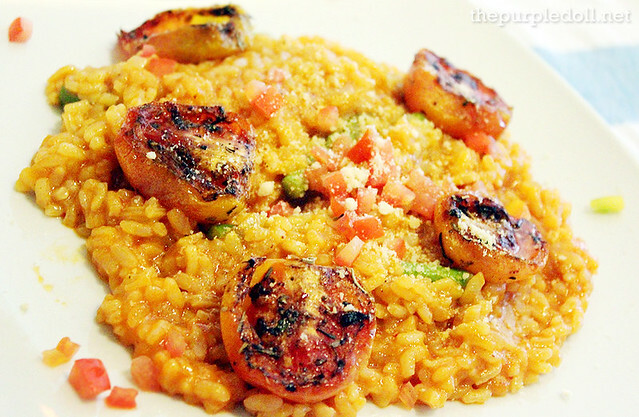 The risotto was just so creamy and so flavorful with an added texture from the asparagus and chopped tomatoes. The roasted tomatoes were also amazing as it oozes with a beautiful charred flavor. I must order this again soon! 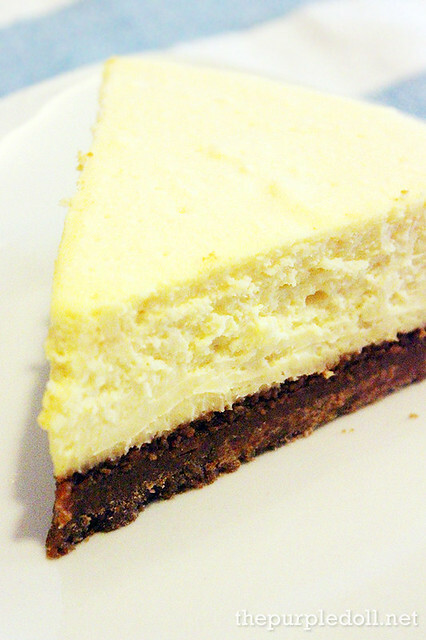 Ending our meal on a sweet note was the Cheese Cake (P180) which is a favorite at Bistro 98. Having tried a lot of cheesecakes before, I can definitely say that this slice is worth ordering, most especially if you're more into the denser yet creamier types of cheesecakes. 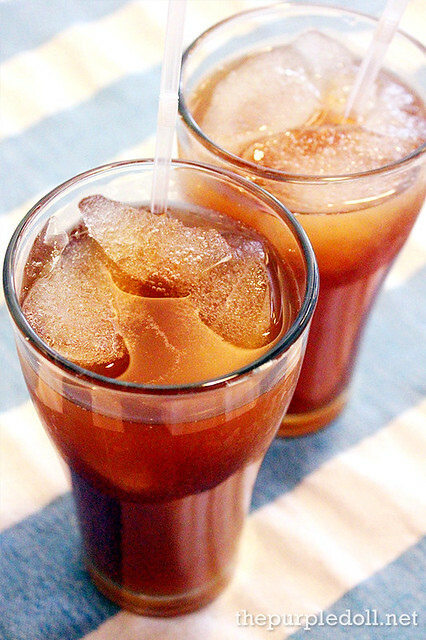 We also enjoyed the restaurant's Home-Brewed Iced Tea (Glass P65; Bottomless P95), the perfect beverage to cleanse and quench after a filling meal. Everything we had that afternoon was pleasurable not only for the palate, but to all our senses. I'm also surprised that prices are very reasonable, especially since the serving sizes were generous for a Mediterranean comfort food destination. And with an intimate setting and personalized service, I can truly say that our trip to Bistro 98 made me feel like an explorer who just discovered a hidden treasure in Quezon City. PS: Calling for reservation is highly advised. Bistro 98 also offers catering services and set menus. The pulled pork and risotto look sooo good :) Love finding a little hole in the wall place to eat at. Nice discovery. Very tempting review and pictures. Interesting that the owners do everything themselves. Will have to check out one day. I think with their 3-man crew, their service is personalized and as special as it can be. It seems the atmosphere here is so homely; I am intrigued with their Risotto, looks tempting. The food you ordered looked delish! I have to try it soon ; ) And it's near my place. Wow I'm impressed! We have here in Romania, a business family like this one, but it's about a chinesse restaurant. They are 2 boys and 1 girl. They are amazing how they can cook, take orders, deliver food, wash dishes, talk with the customers, it's incredible! We really have to apreciate this kind of business. What to say about the food..it's delicious and makes you order again :)I think this kind of business are more warm and more "family style". 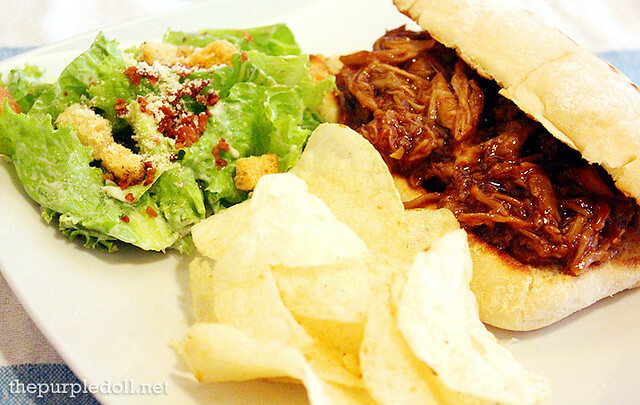 That pulled pork sandwich looks so yummy and filling too. I love denser cheesecakes, I hope we can spot the place when we pass around the area. Oh my looks good! I will try this out soon. Gosh I envy you despite eating at a lot of place you don't seem to gain weight! Hey this place looks very quiet. One of an excellent place to eat. I love Cheese Cakes.My personal favorite. I want to try! they're food is looks so yummy.. mmm.. It really is this kind of commitment to help qualified and being sure people take in effectively which has been the same topic through Healthy Food Delivery London the development of meal shipping products and services adjust will be the only continual matter on this planet. In this particular contemporary time period, change almost always is an advantage.